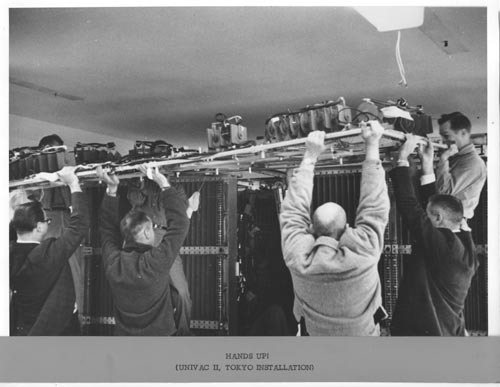 B&W digital image of a group of men lifting a section of a UNIVACII System. Recto bottom: "Hands UP! (Univac II Installation in Tokyo) "